Unique Cave diving in Mauritius! 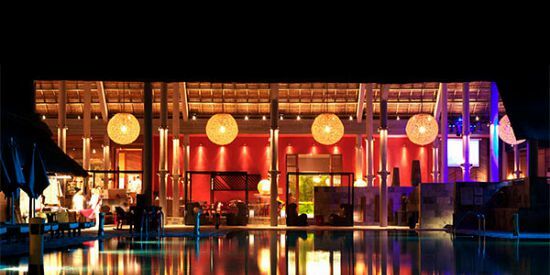 This diving package takes you to an impressive underwater cave close to the village of Tamarin at the South West of Mauritius. This dive site is famous for its memorable seascape of high sea cliffs, rock formations, arches, holes and of course the cave. 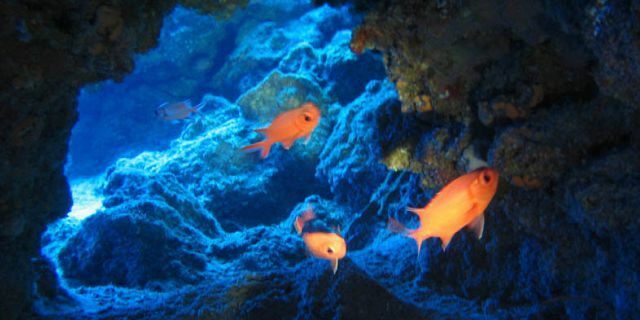 The cave starts as an underwater cliff and offers spectacular beauty due to the topography of the site. 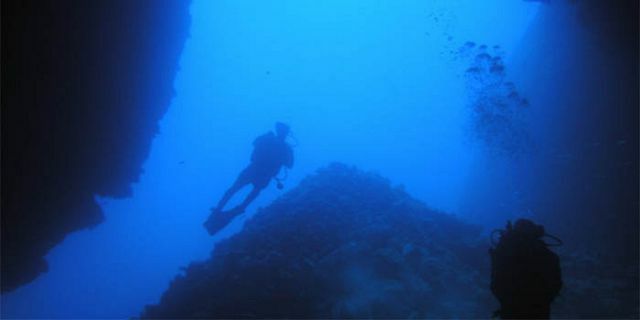 This dive takes place on the drop off, beginning at 18m at the top of a rock formation that drops steeply along two connecting cliffs to a depth of 27m. The bottom of the cave is sandy and barren but the walls of the chamber teem with an abundance of life. The cave provides perfect shelter to great numbers of creatures which inhabit the cracks and crevices on the rock face of the cave. 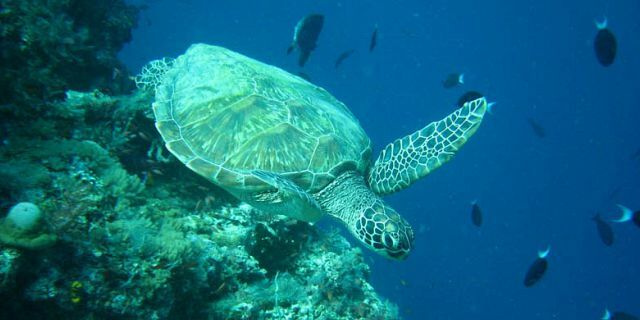 You will be able to see many reef species, including fusiliers, surgeonfish, groupers, snappers, angelfish as well as moray eels, soldier fish shrimps and lobsters. 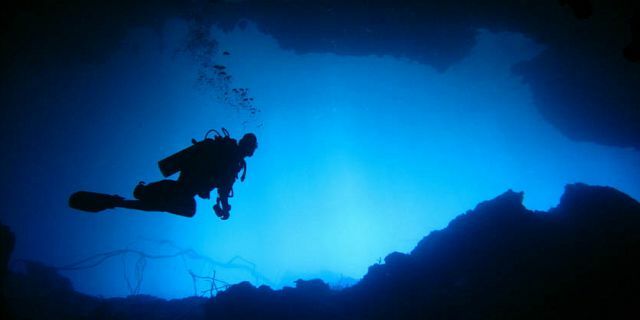 The dive follows a chute into a higher chamber with large quantities of crayfish and shrimps, and culminates in a huge cave which is open at the rear. A huge giant moray lives at the back of one of the overhangs. Due to the filtering light entering through a crack in the cave’s ceiling, it feels like you are in a high-vaulted cathedral. 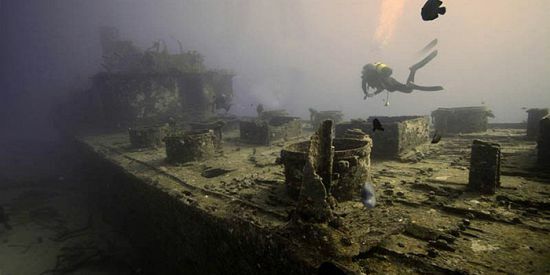 What will you see during the dive? A unique sea cave and remarkable rock formations sea cliffs, holes, arches and cavities. 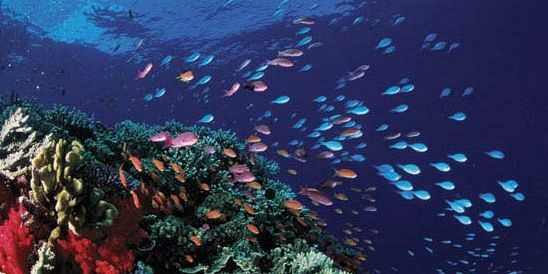 Variety of species fusiliers, surgeonfish, groupers, snappers, angelfish as well as moray eels, soldier fish shrimps and lobsters. 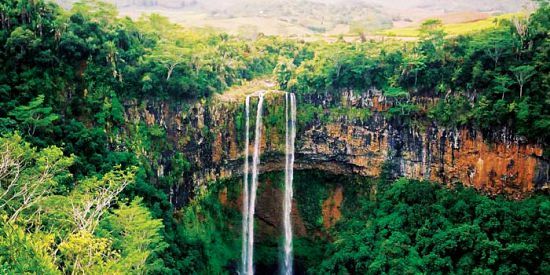 Mauritius, the island of incomparable beauty situated in the Indian Ocean is home to some of the world's most breathtaking coral reefs and marine life ever to be seen. 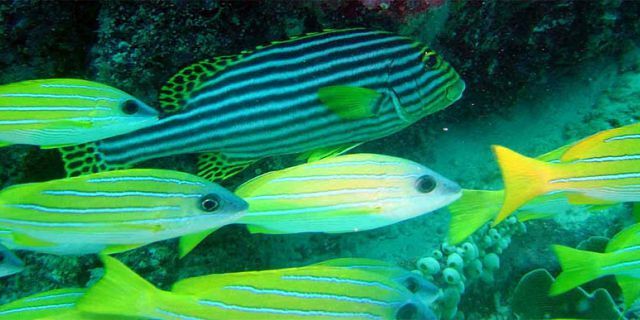 Full with bright-colored fish, the underwater world of Mauritius can be deemed a natural wonder. Each dive becomes a unique experience when looking at colorful fish like the butterfly and soldier fish, large corals, majestic lion fish, giant lobsters, scorpion fish, stone fish, barracudas - and with a bit of luck you will get to see dolphins or water turtles. 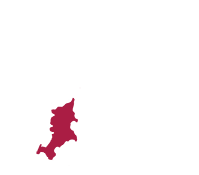 Have a diving certificate (either PADI or CMAS). 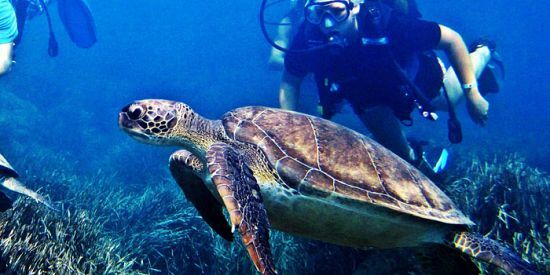 For divers with no diving certificate, it is possible to go for the diving by bringing their diving logbook to prove their diving experience (minimum of 5 dives documented in the log book). 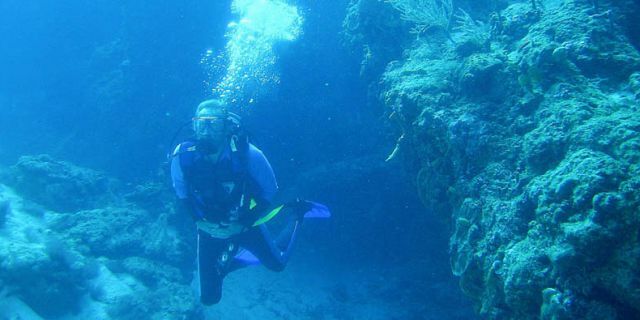 You need to be a certified diver in order to participate in this trip. 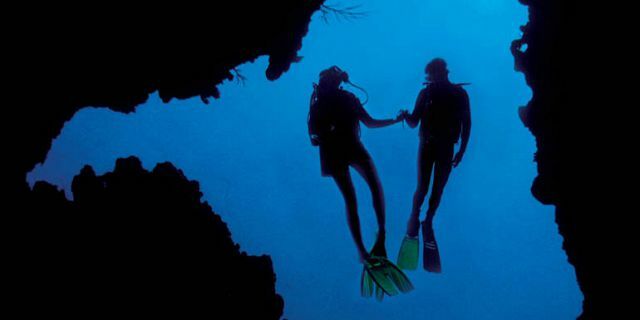 The cost of the diving trips include the cost of the boat trip to the dive site, all diving equipment (including 2 tanks) and light refreshments between dives. 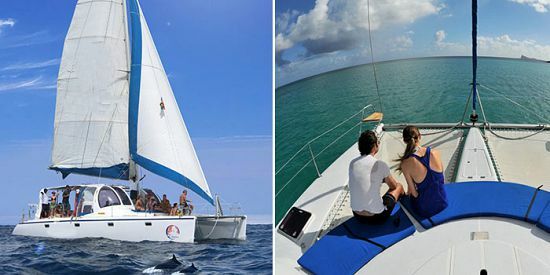 Mauritius Attractions offers you to enjoy a selection of exciting dives under the direct supervision of Mauritius most qualified PADI instructors. 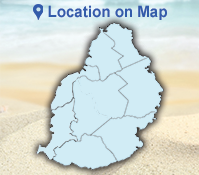 For your convenience the diving can be done with French, English or German speaking diving instructors. The activity is accessible to anyone in good physical condition, not suffering from cardio vascular, hearing or respiratory problems. 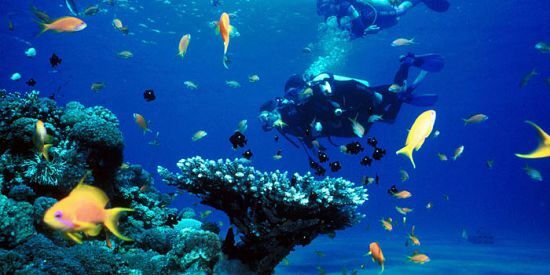 The diving trip is not suitable for pregnant women.